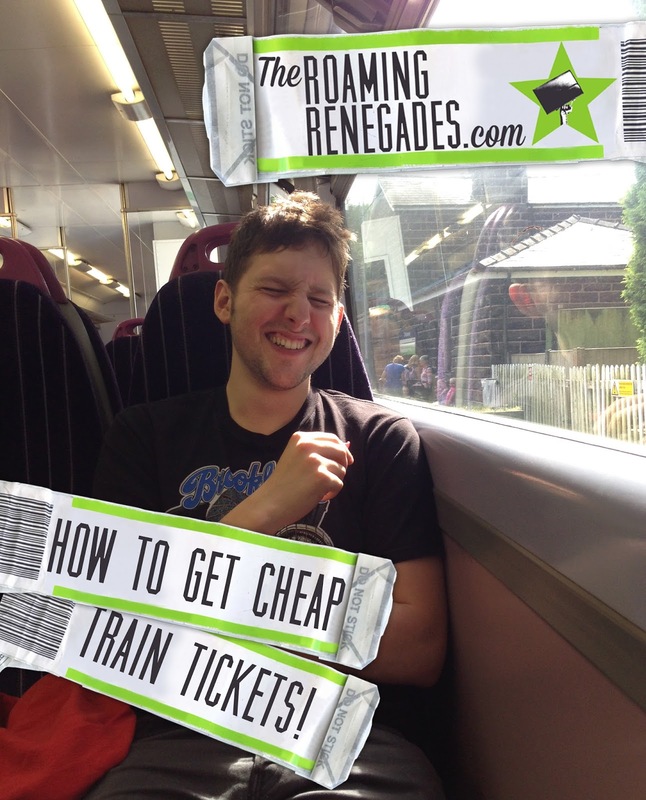 How To Get CHEAP Train Tickets!! Getting the train is great, in fact I’d say it is my favourite mode of transport, it’s comfortable and quick but yet you get to see some amazing views which you miss flying. You get to get up and walk around which you can’t on a bus or a coach and the train station is far less stressful than the airport. But, it’s expensive for what it is. But on our recent trip to London we were on a budget big time and managed to get ticket to London from Manchester for £12.50 each way, Here’s how! Clearly here you can see just how much fun a cheap train ride can be!! The sooner you book the better the price. If you turn up on the day the majority of the time you will be paying the full standard fare. Timetables for uk train routes become available 12 weeks before departure and it’s then when you want to get in and snap up the cheapest prices. Bear in mind that you still need to be flexible and check back a few times. I nearly gave up after viewing the prices to London this time but played around and found the cheap ones. This is a hard one if you have to be somewhere at a certain time or are going to work. Personally I think peak times are a disgrace and punish normal working folk. But it is what is it. If you have pre booked tickets it is not always the case that they will follow peak prices but usually the really early trains and the ones after half past 9 are the cheapest ones. If you have to turn up on the day try and make sure you are travelling on a train which is after half 9 and check the time table before, peak times are not in force on weekends or public holidays either, but booking ahead on these days may also be more expensive. Peak time was also recently increased to include the time between 16:01 to 18:29. In the evenings after 6:30 you can get an “Evening Ranger” which will be significantly cheaper than the off peak price for a normal journey and can be used multiple times until the last train. Sometimes however the ticket machines don’t always offer this option and the ticket desk does not always let you know of this option so be sure to ask them. You can also get a day ranger which will be a little more expensive than your usual return but if you plan on making multiple trips this would ultimately work out cheaper. There are many places to buy train tickets online. Personally I like “Red spotted hanky” as they don’t charge a booking fee and have a loyalty scheme where as some such as “The Train Line” do charge. I usually try to search multiple websites at the same time and you will find there is always one significantly cheaper than the others. Sometimes booking direct with Virgin for example is the cheapest option, and even operators such as “Cross Country” who may not actually own the route still sell tickets and usually as a good price. Travel supermarket.com also includes train tickets so that is worth a try too. See, Public Transport is such fun!! It is good to book in advance and have things planned as mentioned earlier but when it comes to days and times you have to be prepared to budge a day or two here and there. Fridays and weekends will usually be the most expensive (but not always so check first), as will the morning trains which get you in at the best times. You might have to settle for a mid afternoon train on a Thursday if you want the cheapest tickets instead of that 10:00 am Friday morning one you were hoping for. For years I had a young persons rail card and saved a fortune on rail fares. Unfortunately I had to give it up after I turned 26 (Available from age 16-25) but just recently there has become available a new railcard which anyone can apply for called the “Two Together”. This will knock a third off your ticket price but you must be travelling together and rail cards can’t be used on peak tickets, but they can be used when buying a ticket in the station. Children from age 5-16 also get half price rail fares and seniors get free travel within their county and can get a national rail card. 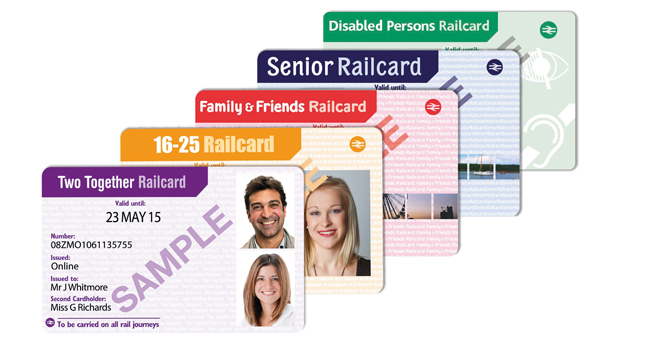 Most railcards cost around £30 which you could potentially save on just one trip from using it and you can often get money off when buying online. Go on the train and get to go to some great places for cheap!! Sending your train tickets to you via snail mail is both expensive and could end up with you misplacing your tickets (especially if booked weeks in advance!). Most websites allow you to print off an e-ticket for free, which means you can save the PDF to your computer too and print as many spares as you like. Or you can pick up your tickets on the day of travel for free from machines near the ticket counters (most of these require you to use the card you bought the tickets with and enter a reference number). In Manchester if you buy a ticket from within Greater Manchester it has CTLZ on the ticket which means all metrolink journeys within the centre zone are free. Check within the area you are travelling to see if there is anything similar. There are also occasional offers for 2 for 1 attractions or if two people buy there ticket together the rate is reduced, always make sure and ask or search online before you buy. This was a suggested addition and I have used it a few times but it is good for when you need to be more flexible or need to buy a ticket at the last minute. Basically because the rail fares systems works in a slightly illogical way in the UK if you buy your journey as two or three separate tickets instead of one it can work out cheaper (you don’t need to get off the train either when you change over tickets). We used to do it a lot when going over to Leeds, as it is in another county we would buy a ticket from where we lived to one stop over the border and then one from that stop (Walsden in this case) to Leeds which was the longest part of the journey seeing as we lived near the border and it worked out almost half as cheap. You won’t be able to do this at a machine but ask at the desk and they maybe able to help you, or research ahead. So there you have it. Do you have any other money saving tips when it comes to buying train tickets? Bookmark this article How To Get CHEAP Train Tickets! !